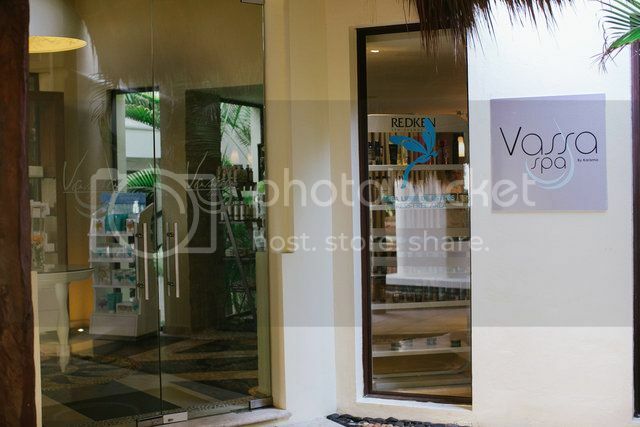 Azul Beach Hotel in Puerto Morelos is not only know for their awesome beach beds located right on the shore, the resort also offers top notch spa services that can take your quest for relaxation to a whole new level. Azul Beach's Vassa Spa gives guests more than just your typical spa treatments, they provide a complete spa experience. Besides being able to lounge and unwind in one of the relaxing warm and cold plunge pools, spa goers can also opt for a Beachfront Sky Massage, or experience a couple’s treatment in one of the spa's double massage cabins. 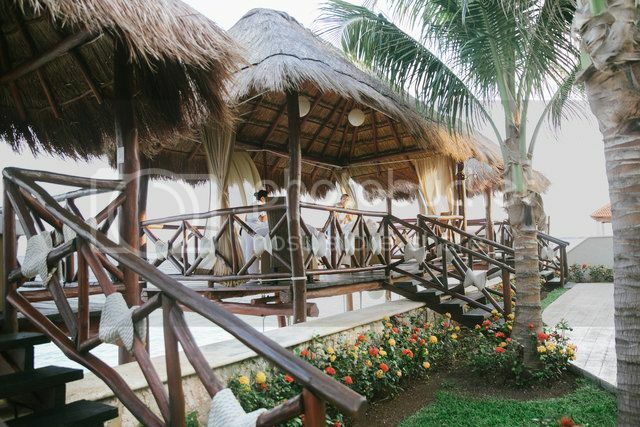 During my recent stay Azul Beach, my husband and I had the opportunity to indulge in an hour-long beachfront sky massage, which takes place under an open-air palapa hovering over the Caribbean Sea, so while you're getting the massage of your life, you can also relax to the soothing sounds of the ocean waves hitting the shore. The spa allows you to schedule appointments for treatments and I didn't have any trouble picking my preferred time slot -- they are quite flexible and accommodating. You can even schedule a moonlight massage if that's what you prefer! Prior to your massage, the spa staff will have you check in and fill out a form to find out what type of massage you prefer while also finding out whether you have any trouble spots or tight areas that need special attention. The experience is customized from beginning to end, with your relaxation and pleasure in mind throughout. I can't say enough about the kindness and professionalism of Vassa Spa's staff, they really go out of their way to ensure that when you walk through their door, you are well taken care of. Getting a massage from one of their trained massage therapists is truly a wonderful experience that one should indulge in during their stay. With hair and makeup options as well as their expansive menu of spa services, Vassa Spa is a great option for brides-to-be and their partners as well as wedding guests. But children can also indulge in different beautifying and calming rituals, such as the Princess for a Day experience. The pampering is open to everyone!